We’d love your help. 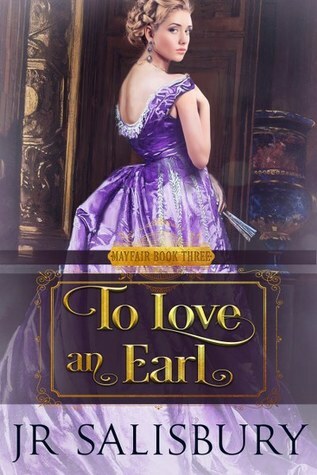 Let us know what’s wrong with this preview of To Love an Earl by J.R. Salisbury. Lady Jane Blackmont finds herself stranded at the Earl of Norwood's estate. Not looking for love of any fashion, she finds herself falling for a neighbor and one of her brother's friends. The Earl of Norwood rescues the young woman after her carriage careens off the road. Right in One of the worst snow storms in over a decade hits England. What's the worst that could happen? The Earl of Norwood rescues the young woman after her carriage careens off the road. Right in front of his estate. Norwood's been unlucky in love, but finds himself intrigued with the smart and talented Lady Jane. Does he dare open himself up to love? To ask other readers questions about To Love an Earl, please sign up. My careers in public relations in and around the entertainment industry, photography, editing, artist management, modeling and special event planning all elevated my passion for writing, not to mention gave me a treasure trove for story lines. I write women's fiction; contemporary romance (as Jamie Salisbury) and historical romance (as JR Salisbury) which is ever evolving. I am fortunate enough that writing (and marketing of said product(s)) is my full-time job, although I always have one or two other projects going at the same time. I now live in a suburb of Atlanta. Some of my other interests include photography, equestrianism, reading, and of course, travel.